You can't argue with good food, good wine, good people, and good behold-the-majesty-of-nature-and-weep scenery. No country nails this combo quite as effectively as Italy. And for those of you forming internal counterarguments about the scenery aspect -- because "the Amalfi Coast is totally overrated!" (note: no it's not) -- I have two words for you: Italian. Alps. The incredibly vast mountain range, stretching through nearly 10 different countries including Austria, France, Germany, and Switzerland, leaves some of its prettiest footprints (foothills!) smack dab in Italy. From reflective glass lakes to snowy hilltop villages, here are a dozen jaw-dropping examples to prove it. This lake is so ridiculously gorgeous it goes by multiple names, which can be just plain confusing. 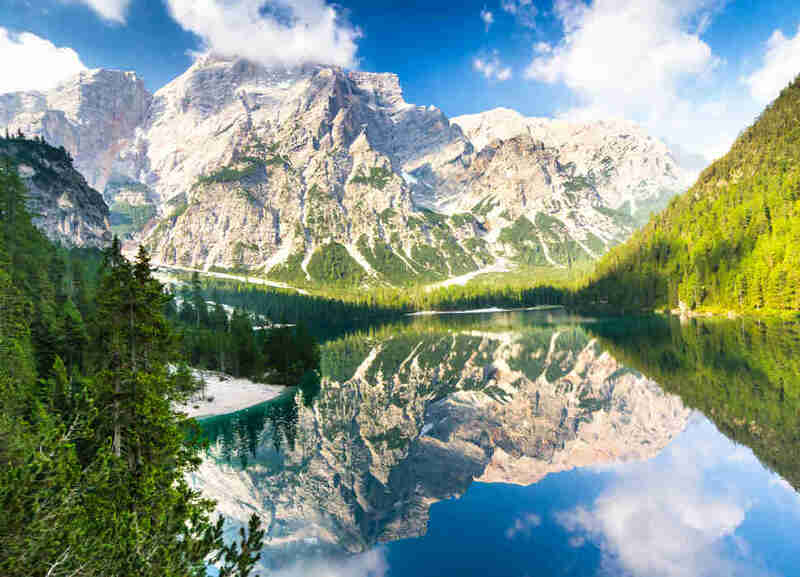 But the fact is, Lake Braies, aka Lago di Braies, aka Pragser Wildsee, aka Lake Prags, are all the same breathtaking body of water: the largest natural lake in the Dolomites. A quaint village scattered with snow-topped cottages surrounded by jagged mountain peaks, plus secluded caves just big enough for a curmudgeonly green outcast and his dog to live in. Wait… is this Whoville? 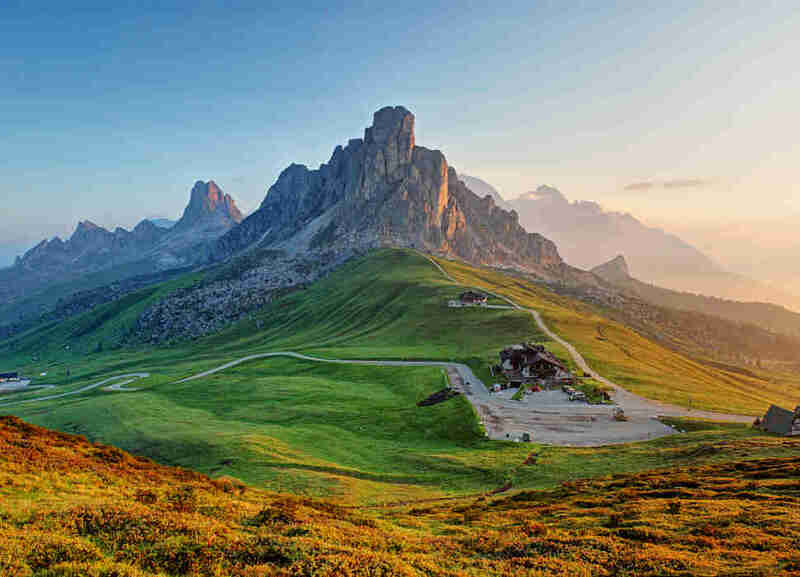 If you just happen to be scoping some truly jaw-dropping peaks in the Southern Limestone Alps they're almost certainly part of the Dolomites, considering this range makes up the majority of this mountain region. In fact, they're so vast many consider them separate from the Alps (don't believe those people, technically they're still part of them). 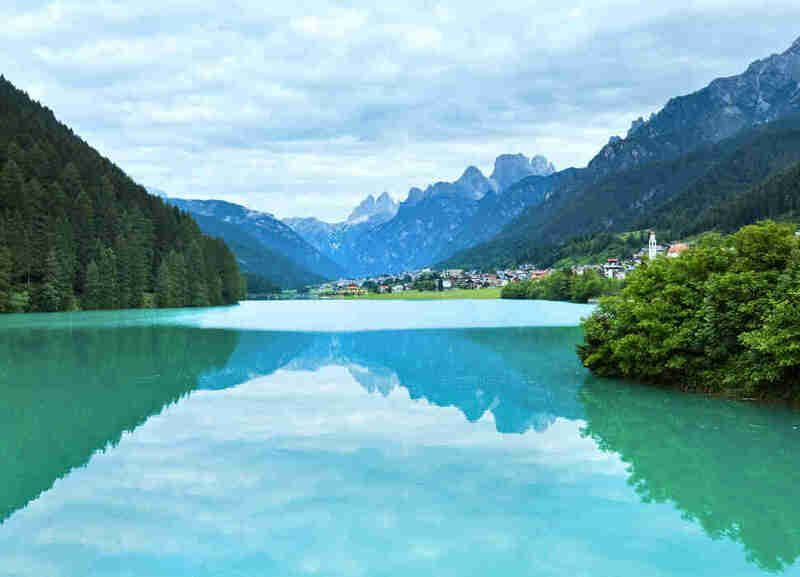 On the borderline of Italy and Switzerland exists a lake that's fed by a slew of springs that wind between the surrounding ancient larch trees. And its name isn't for show -- this water is blue. Blue enough for the famous 15,000ft-high Mount Cervino (aka the Matterhorn) to vainly look upon its reflection on a daily basis. 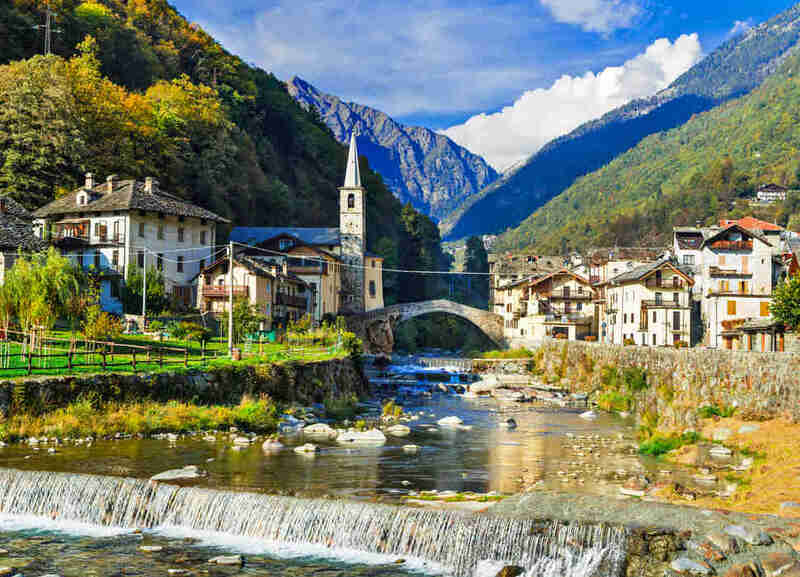 Seemingly small provinces birth even smaller towns, so it should come as no surprise Lillianes is home to several riverside villages in Valle d'Aosta. 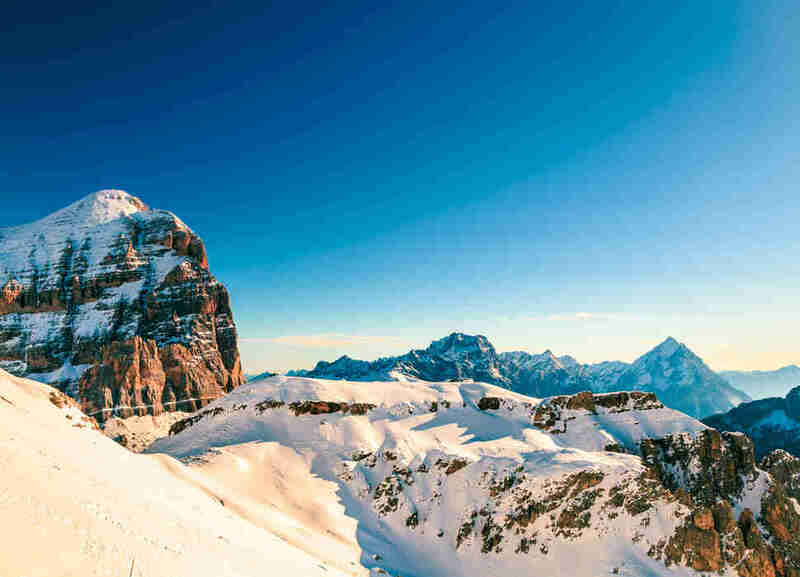 Both sides of the town are pretty steep -- it's in the Alps, after all -- making this a sought-after region for skiing, hiking, snowshoeing, and mountain biking. Surrounding areas are worth exploring too: forests, waterfalls, numerous medieval castles including the famous Fort Bard… oh, and actual gold mines. 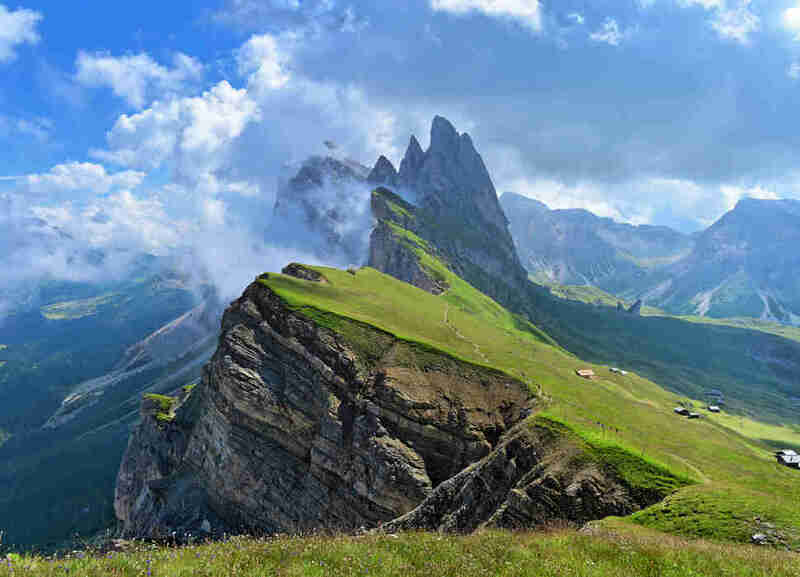 Inarguably the most famous range of the Dolomites are the Odle Mountains, sandwiched between the Val di Funes and the Val Gardena in Puez-Odle Nature Park. You can climb them, but the safer bet is to just say you did in your Instagram caption. This tiny town in the shadows of the Odle peaks is so pristine you almost expect a bunch of little wooden figurines to start belting out "Welcome to Duloc." 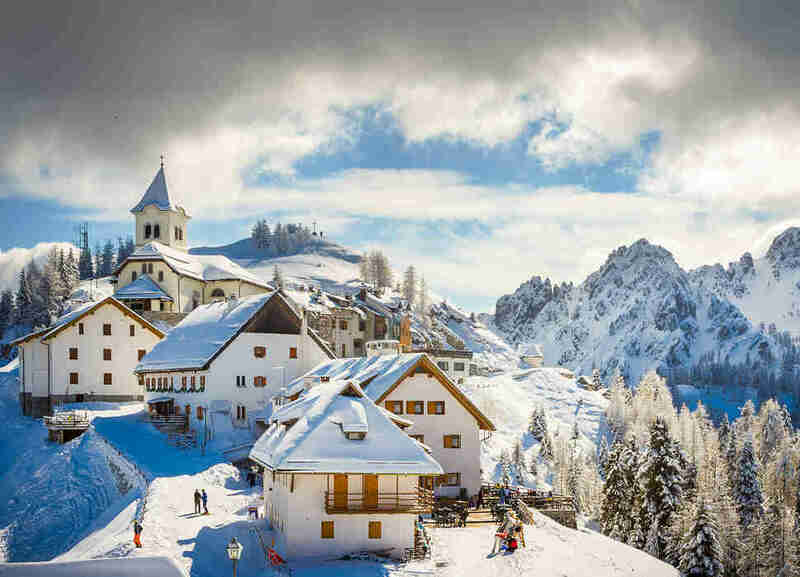 Aside from killer slopes (you can catch a ski lift directly from the village), a legendary medieval church, and snow-capped horseback riding, the valley is also famous for its bacon. BACON! 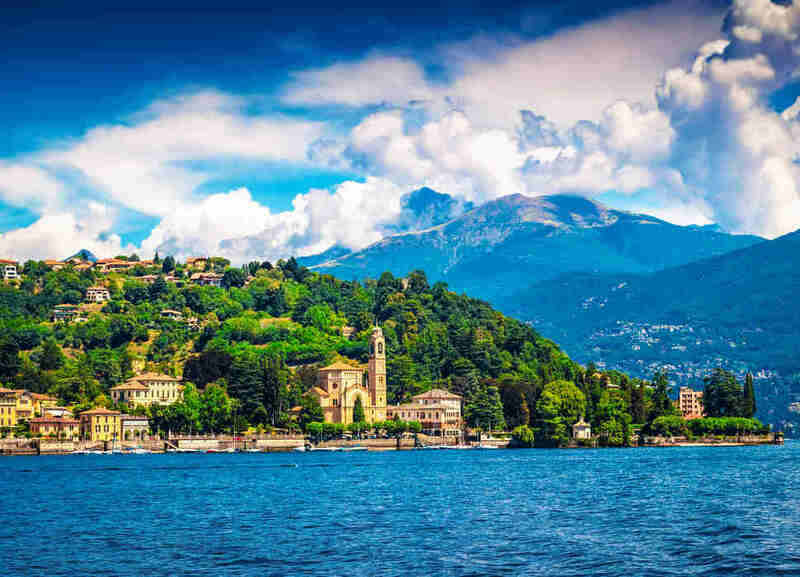 Lake Como (shaped like an upside-down "Y") is located in the foothills of the Alps and has been dubbed a "playground for the wealthy." 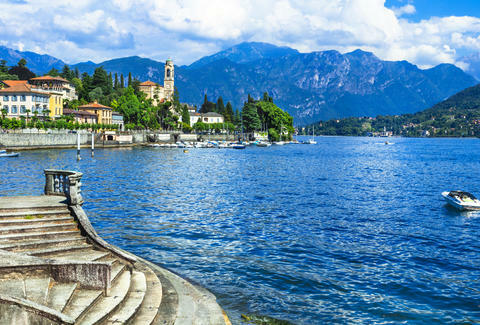 With good reason: The dramatic shorelines are peppered with private waterfront villas and exquisite villages like Como, filled with Renaissance architecture, and Bellagio, filled with glamorous crowds. But mainly, because it's the vacation homeland of George Clooney. 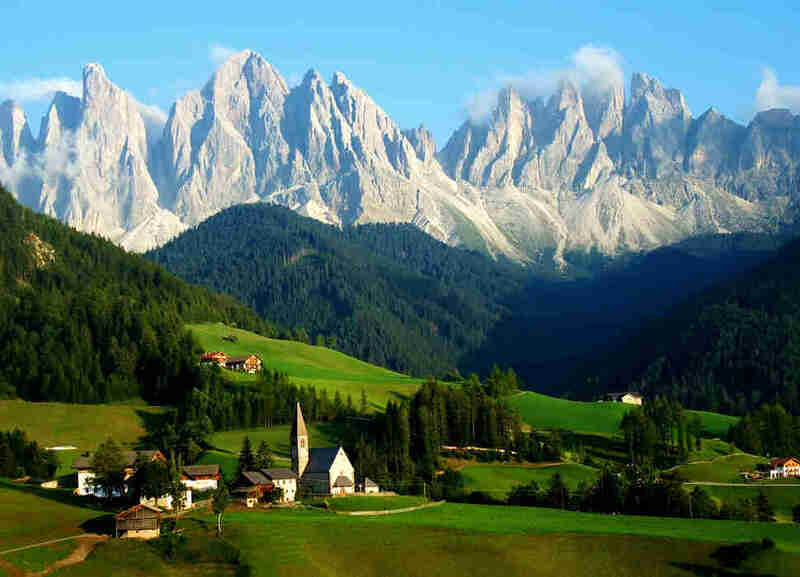 A region of Italy bordering France and Switzerland, Piedmont is the perfect place to park should your to-do list be to achieve sublime happiness. 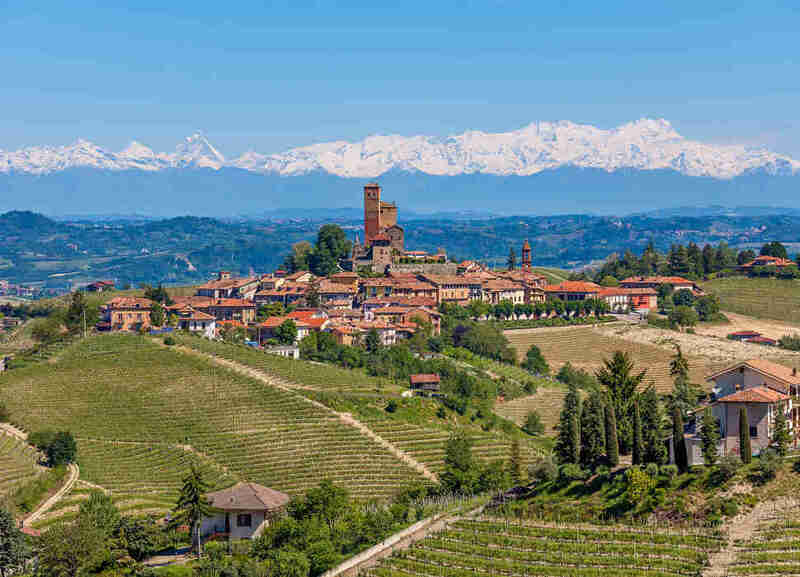 It's known for its food and wine -- specifically, Barolo -- and the scenery is made up almost entirely of Baroque architectural landmarks and the lush, majestic valleys that engulf them. 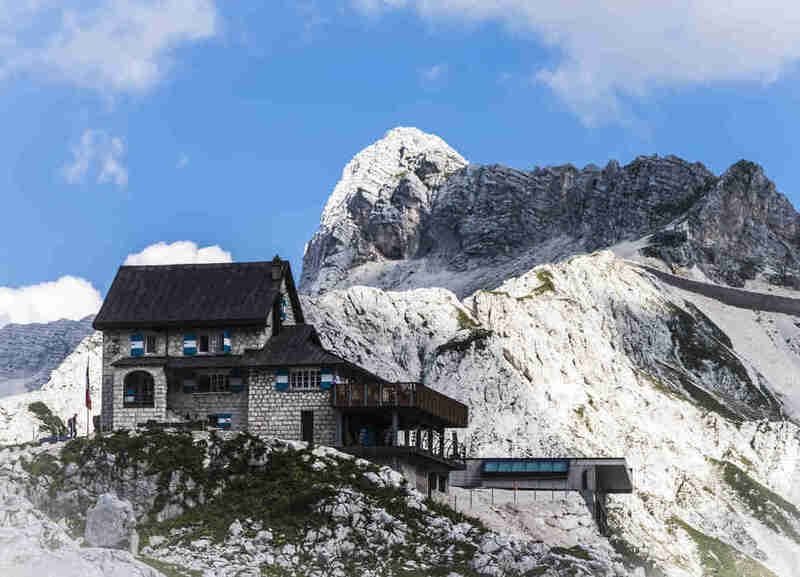 Odds are you won't be able to find stunning chalets perched high up in the Italian Alps on Airbnb, but dammit you can dream. This ancient town is the fourth-largest in Lombardy and fittingly sits just south of the Bergamo Alps (makes sense, right?). 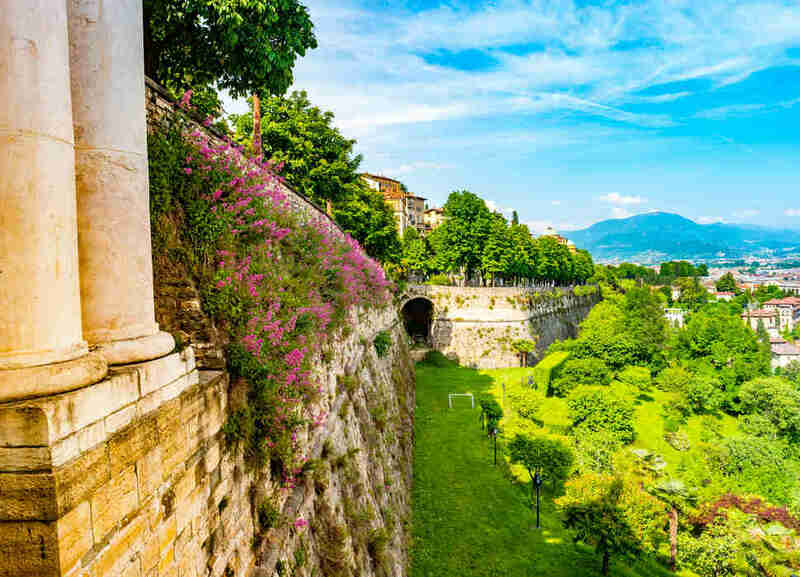 Although small, it's divided into two even smaller "centers," including the medieval hilltop town of Citta Alta (which means "upper city") that's completely surrounded by 16th-century cyclopic walls built to protect the town. And we imagine those intimidating pastel flowers covering them really do the trick. Ready to shred the freshest powder ever, bro? Liz Newman is a contributing writer for Thrillist, and is fairly certain the next time she returns to Italy she will just stay there. Follow her wanderlust on Twitter and Instagram @lizn813.